HP today introduced refreshed Spectre x360 and EliteBook x360 laptop devices. 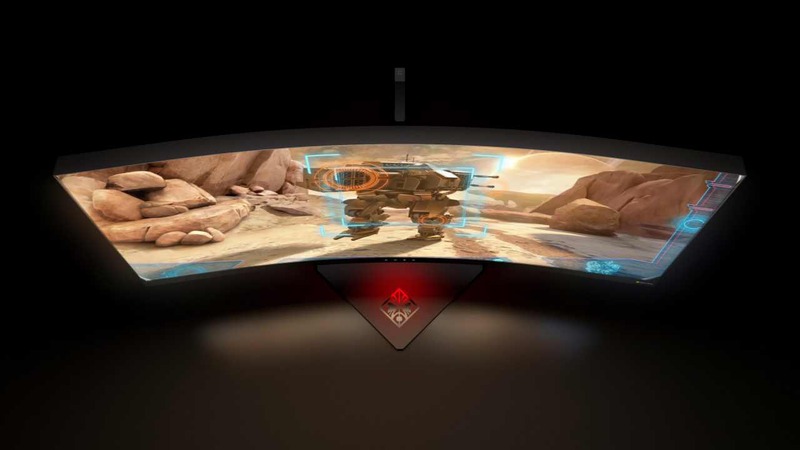 HP also announced OMEN X Monitor and ENVY Curved All-In-One PC at CES. HP Spectre x360 is powered by Intel’s 7th gen Core i7-7500U processor, 16GB of DDR4 RAM, and 256GB of SSD internal storage. The device also comes with HP’s Fast Charge technology. The laptop also includes NVIDIA’s GeForce 940MX GPU with 2GB DDR5 RAM. The laptop sports a 15.6-inch UHD(3840×2160) display with a viewing angle of 178-degrees. K IPS display: 8.2 million pixels bring your content to life in mesmerizing quality with 178º wide viewing angles. Dual HP Speakers, HP Audio Boost, and expert tuning by Bang &Olufsen bring audio perfection to your PC. Machined aluminum design: The seamless unibody design, carefully chiseled by CNC machines, provides durability and artful refinement. HP Wide Vision FHD IR camera. 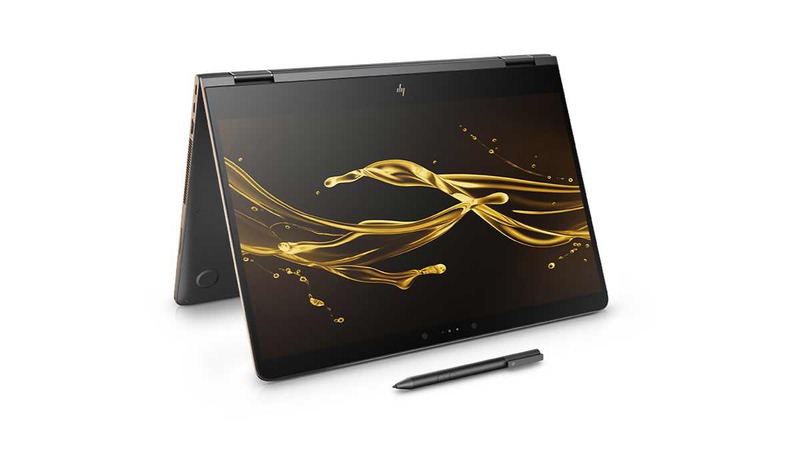 The HP Spectre x360 15.6-inch will be available from February 26th, prices start at $1,499. HP EliteBook x360 features 13.3-inch 4K UHD display and Intel’s latest Kabylake Core i5/i7 vPro processors, up to 16GB of DDR4 RAM and PCIe SSDs. HP EliteBook x360 also supports 360-degree hinge which allows it to transform into five different modes: laptop, tablet, conference and media. HP EliteBook x360 can offer up to 16 hours and 30 minutes of battery life, and you can charge 50% of the battery in just 30 minutes. For security, the device supports HP Sure Start Gen3 self-healing BIOS-level protection, HP Device Access Manager, HP SpareKey, and HP Secure Erase. The device also features Windows Hello’s Face Recognition and a fingerprint scanner. The HP EliteBook x360 will be available later this month, pricing details are yet to be revealed. The new HP OMEN X 35 Curved Display comes with a 35-inch diagonal UWQHD 21:9 display with 34% more screen real estate than a 16:9 QHD display. It supports 100Hz refresh rate and NVIDIA G-SYNC technology. For gamers, it supports ambient lighting allowing them to customize the lighting color to match the system lighting on their PC, keyboard, and mouse. The 1,800R curved display delivers an incredibly realistic experience with virtually no bezel encircling the display. It comes with HDMI, DisplayPort, and a USB 3.0 hub. The HP OMEN X 35 Display is expected to be available in March 2017, starting at $1,299.99. 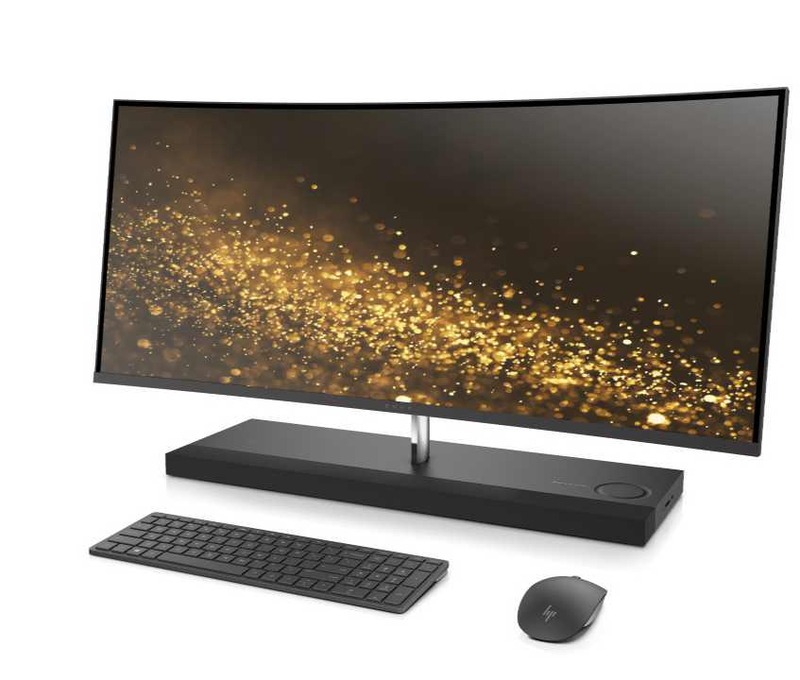 HP also announced the new 34-inch ENVY Curved All-in-One Windows 10 PC. The PC comes with micro-edge curved display with the integrated camera above a sculpted aluminum stand and sound bar. The sound bar has directional audio with front-facing speakers, acoustic fabric and audio dial for a clearer and louder sound. HP ENVY Curved All-in-One PC is powered by 7th Generation Intel Core i5/i7 desktop processors, up to 256GB SSD and 1TB storage. You can also go for AMD discrete graphics. The HP ENVY Curved AIO 34 offers Privacy Camera with IR support and a microphone. The AIO PC also supports wireless charging. The AIO PC comes with four front-facing speakers and two radiators are in the base of the AiO, separate from the display. HP ENVY Curved All-in-One PC includes 5 USB (4 x 3.0 , 1 x USB 3.1 Type-C), HDMI Out and HDMI In ports. The HP ENVY Curved All-In-One 34 is expected to be available on January 11, 2017, starting price is $1,729.99.